Some thoughts upon celebrating nearly 3 years married. The time has passed quickly. August 4th is our 3 year anniversary and I have been thinking about some of the things I have learned and continue to learn as a married woman. 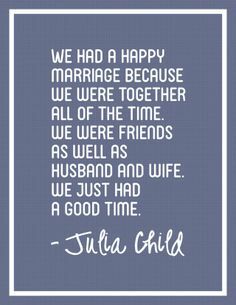 I remember watching an interview with a couple that was celebrating 50 years married (can´t imagine that either!) and the interviewer asked the husband, ¨What is the secret to a happy marriage?¨ The answer stunned me. He said, ¨Know when to be quiet¨. Somehow, I think this is true with any relationship, not just marriage. I know it is advice that I have found useful. When I am annoyed or have had an excetionally tough day, I can easily say things which I later regret. Even in the worst moments, I need to choose my words carefully, and other times, it is best to say nothing. Sometimes, it requires a lot of self control but it is worth it not to hurt a person´s feelings. You can´t take words back. There is a common saying that goes, ¨Love means never having to say you are sorry¨. That, in my opinion, is one of the most erroneous commentaries about love. Admitting you are wrong is never easy but to put pride aside and admit that you made a mistake is a sign of loving a person. Again, this is true for any relationship. I am a teacher and the other day, I reprimanded a student for doing something and later found out he didn´t do anything. I immediately took him aside and apologised for making the mistake. I felt really bad but I knew that he was going to respect me more for admitting my error than if I acted like nothing happened. Give a person the benefit of the doubt. Ok, one of the things that drives me completely insane is being late. My husband has a tendency to be late. So, for example, if we are leaving for a road trip and we are supposed to leave at 11, it is likely we will leave at 3. Why? Well, because he needs time to pack, (he has a method) and he needs to iron and so forth. It really drove me bananas when we were first married and I began to wonder why his timing was so..off. I realised that one of the reasons why I fell in love with him, his unfaliling optimism, made him overestimate the time he had to get things done. I am more pessimistic and always think that things will take more time than you expect. (Is that pessimistic or realistic? :)) He always presumes he has lot more time than he actually has. Does his timing still drive me a bit nuts? Yes, but I would not change him. He is wonderful just how he is. I am very lucky because I really did marry my best friend who loves me and loves my family. He makes me feel like I am the most wonderful person in the world in spite of the fact that I have more faults than I would care to admit. Did I have to kiss a few frogs before I finally met my prince? Well yes, but that makes finding my Mr. Right all that much sweeter. I have learned from my mistakes and am still learning. I was told that the first few years of marriage would be hard and all I can say to that now is, thatv they have been great. We are on an adventure and although life is certainly not an endless amount of rainbows and butterflies, but we are not alone. ¨Love means never having to say you are sorry¨. I agree with you on this one. Saying sorry is important when it’s warranted. To me, it shows humility and a willingness to acknowledge and move forward. So true! It is not always easy to say but it really helps to break down a wall or two. Like you say, humility is necessary and because it is not an easily acquired virtue, it is often worth its weight in gold. Such a sweet blog..I am glad you found me, Natasha, so I could discover you. I remember when people around me would tell me – don’t rush into marriage, marriage is dull and boring, it’s hard, too much responsibilities etc…so much “encouragement” everywhere and in a media..I don’t like how marriage is portrayed. We’ve been married for 3 years now, and I feel like it’s only getting better. I have a deep appreciation, love and respect for my husband and am looking forward for what’s coming.